Manx Nobby built before 1917. 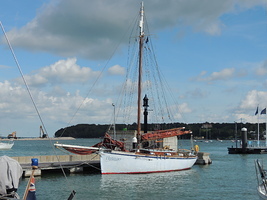 Converted from 2 masted lugg-rigged fishing boat to gaff cutter yacht; engine added, – not necessarily in that order or at the same time. 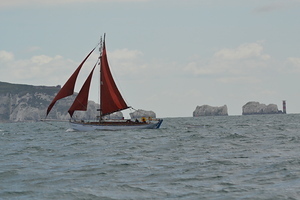 IYFR (Rotary)Solent Fleet rally to Bembridge 7-10th May 2019 – Space currently for 3 more crew. Solent OGA’s YOGAFF event. (30thMay – 2nd June) Space currently for 4 more crew for this friendly event in Yarmouth IOW. No gaffer sailing experience needed. Contact me for more details by email or mobile.